Russian President Vladimir Putin will be a guest at the wedding of Austria's foreign minister, who was nominated to the role by a far-right party with reported links to Russia's ruling United Russia. Karin Kneissl, an independent who was tapped by Austria's Freedom Party (FPOe) to head the foreign ministry, will on Saturday marry the businessman Wolfgang Meilinger. Kremlin spokesman Dmitry Peskov confirmed Putin would attend the ceremony in Austria on his way to Berlin for talks with the German Chancellor Angela Merkel, in comments carried by the Russian Interfax news agency. 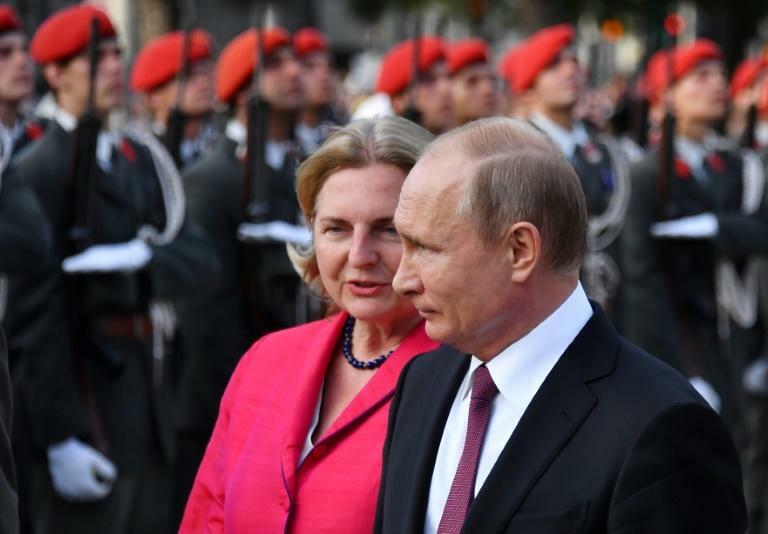 Kneissl, 53, invited Putin to the ceremony when the Russian president was visiting Vienna this year, presidential advisor Yuri Ushakov told the agency. "We will call in and congratulate them," the advisor said. The wedding is set to take place at a vineyard in Meilinger's home state of Styria, central Austria. Austrian foreign ministry spokesman Thomas Schnoell told AFP he could not comment on Putin's visit, adding the wedding was a "private event". The FPOe has ruled Austria since last December in a coalition government with the centre-right People's Party. The FPOe supports Russia's claim of sovereignty over Crimea and advocates the easing of economic sanctions levied against Moscow over its role in the Ukrainian crisis. Austria was one of the few EU nations not to expel Russian diplomats following the poisoning of ex-spy Sergei Skripal and his daughter Yulia in Britain in March. But during his visit to Vienna in June Putin downplayed reported links between the ruling United Russia party and the FPOe.